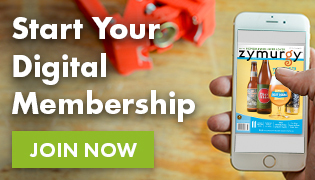 Membership Dues: As a young club that is trying to build members, we currently don’t have any dues. 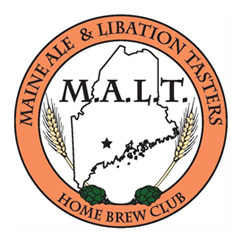 MALT is a local homebrew club dedicated to the enjoyment of all things homebrew in the Central Maine area. The group started as an idea between two of our current members who met during an AHA Rally at Allagash Brewing Co. in August, 2011. Because there were no homebrew clubs in Central Maine, we started as a group looking for advice, camaraderie and competition; to learn more and help others learn more about making good beer. All of the above! Mostly, we are laid back with various backgrounds, styles, and experience. We think one of the greatest parts of having the club are the different people who share their thoughts and experiences of homebrewing to hopefully influence the minds and motivations of others. The club meets on the last Thursday of each month at a local homebrew shop or a member’s home. Originally the group (10-15 regulars) would meet to drink and discuss without a formal agenda, but for the past few months we have talked/sampled/discussed a pre-determined beer theme/topic. Some examples include “How to become a BJCP Judge”, Beer of the Month: Lawnmower Beers, and club judging for AHA Club-Only Competitions (This month was a porter COC). It has been a great way for more experienced brewers to help less experienced brewers and for our group to stay focused. Two or three of our members submitted beers into the National Homebrew Competition in 2012. Although we didn’t medal, one of our members (Mike St. Pierre) took first place in the Pittsburgh regional traditional mead competition. It was a great experience for our club and we look forward to next year! Two of our members, Michael Gagne and Paul Hallee, are finalists in the Maine Homebrew Competition. The top three winners’ beers will be brewed by some of the local microbreweries! Three members entered the First Annual Bethel Homebrew Competition, and two of our members, Mike St. Pierre and Michael Gagne, participated as judges in the competition this summer. 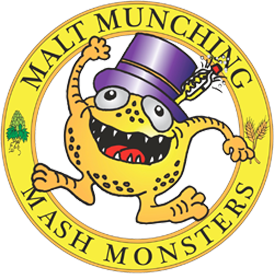 Club Brew Days: One of our members will have members over during a brew day. These days are usually pretty informal and members can stop by to help (or just drink beer). Oak Barrel Challenge: We currently have an old Allagash Brewery oak barrel on loan from a friend of the club and are working on filling it with Old Ale. A bunch of members are brewing 5-10 gallon batches that will be blended in the barrel. We have roughly 50 gallons of beer brewed so we’re almost there! 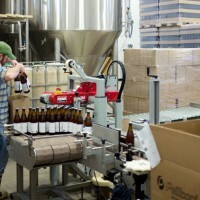 Tours: We’re currently trying to work out a time to privately tour local breweries including Oxbow Brewing, Baxter Brewing, Shipyard and Allagash during one of our monthly meetings. This is something that we would like to do more of because there have been a lot of new microbreweries opening in the area. Shwagg! We came up with a cool club logo a few months ago and have been trying to pool funds to print t-shirts, pint glasses, and stickers. 2013 National Homebrewer’s Conference: It is still practically a year away, but with it being on the east coast next year, a bunch of members are already pretty pumped to attend. We’re planning to participate in Club Night and serve some of our club beers including our oak aged Old Ale (if we don’t drink it all before then). BJCP Exam Study: We are trying to gauge interest and gather more members to register for a BJCP exam site. One of our club members (Mike St. Pierre) recently took the BJCP Tasting Exam and is current awaiting results. One of our goals is for our club to host a BJCP-sanctioned competition.